Michael & Maureen extend a very warm and friendly welcome to their web site and home. We have been keeping our guests happy for many years. 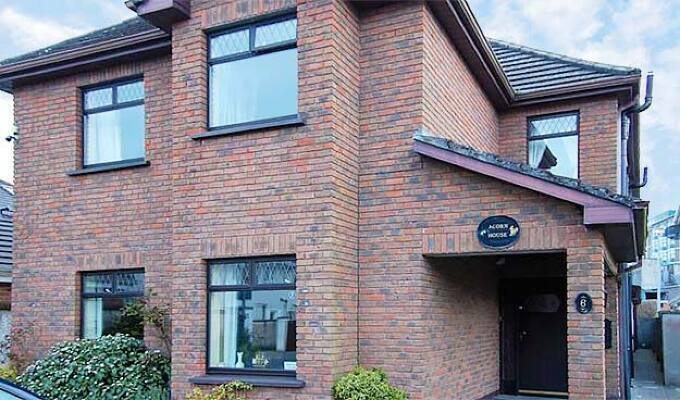 Our home is a superb quality home and has all amenities including, multi channel TV, guest room with open fire, hairdryers, tea & coffee services and all the usual services you would expect from a long established Irish B & B. We hope some day, if you visit the 'city of the tribes' you will avail of our hospitality. Feel free to ring or book in advance by telephone or e-mail link for any further information you require about room size, availability and indeed general information on any events taking place in Galway city or county. Our home is situated 3 km from Galway city centre on the east side of the city. Our location is key for the visitor as we are on the gateway to Connemara, the cliff of Moher, Aran Islands and 2 Km from the bustling Galway City which is well serviced by taxi and bus service.